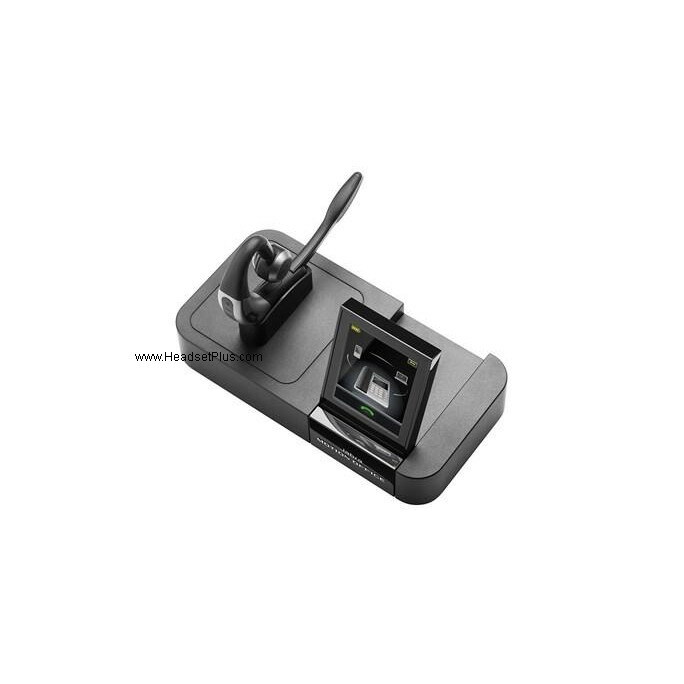 Jabra Motion Office UC Bluetooth Wireless Headset is a wireless headset for all your communication needs. 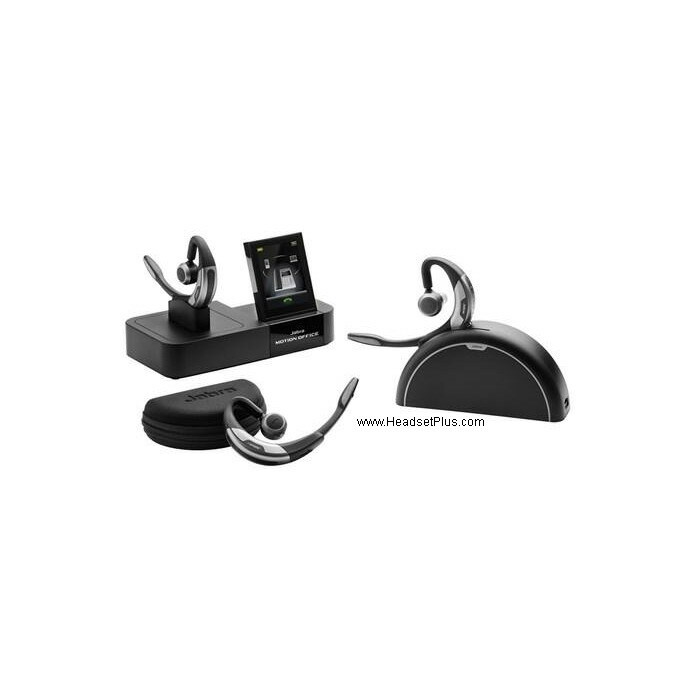 It features multiple telephone connectivity (desk phone, PC, and cell phone), You can connect to all your phones with the same wireless headset. Switch the conversation from your desk phone or VoIP softphone to your mobile phone and continue on the same phone call as you walk out the door to your car. Jabra Motion Office also have built-in sensors so that you never miss a call. When you picked up, the headset automatically answers incoming calls and intuitively adjusts the volume to your surroundings. Answer calls using voice commands, or use the foldable boom arm. Compatible with all Bluetooth Cell Phones, tablets, as well as your PC via USB. Class 1 Bluetooth (Up to 300ft wireless range. Multitask with maximum efficiency and control your call from anywhere in the office. Built in Motion Sensor technology turns the headset on when you pick it up or touch it, and automatically answers the call when you place it on your ear. Hi-Fi Audio Streaming -Stream music, featuring A2DP allow you to stream music, podcasts, and even GPS directions in HiFi to give you enhanced sound experience. 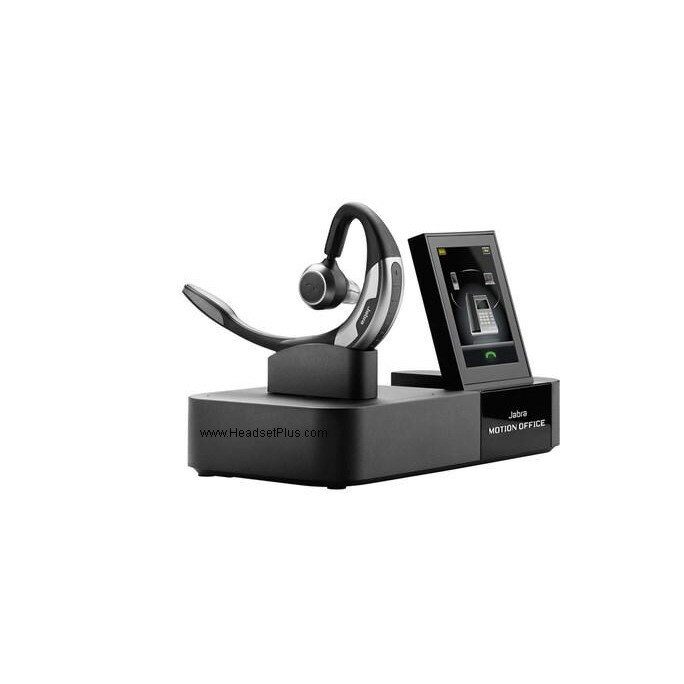 Jabra Connect - Customize your headset and control your devices The Jabra Connect app interacts actively with your headset and lets you customize your user experience. Noise Blackout - Noise Canceling features that eliminate background noise. 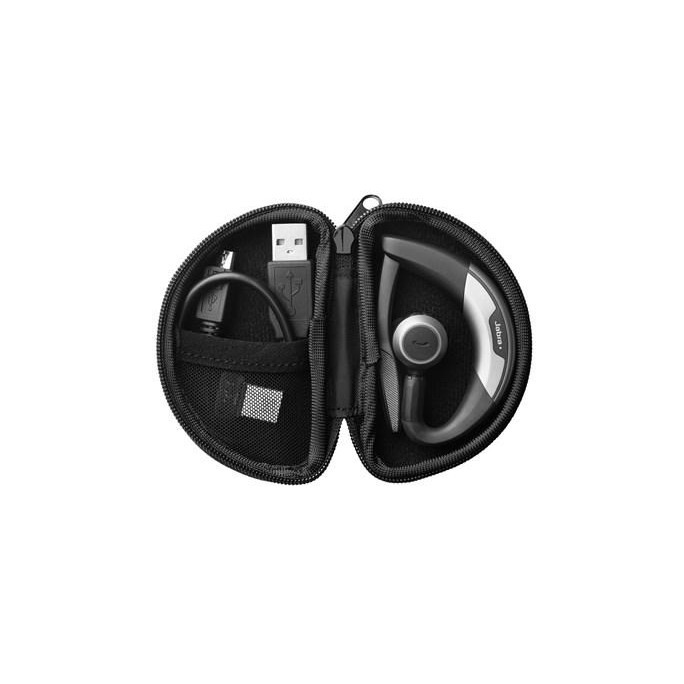 Power Nap Mode - Automatically enters power nap mode With Jabra Power Nap Mode, you can now leave your headset in the car or on your desk for days and still have it ready when you are. Your device automatically goes into sleep mode when inactive. Voice Controls - Be notified and take control with your voice Jabra Voice Controls cover both Voice Commands and Voice Guidance functionalities.